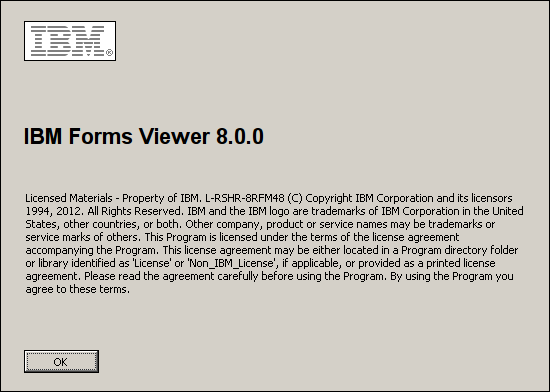 Are you using Linux and need to view/edit an IBM Lotus Form; also known as a XDFL file from work? Well here is how you can get it up and running. There are a few known issues working with these forms on Linux. 1.) Unfortunately, you still cannot sign the forms within Linux. 2.) A lot of us know we need to fill the line. While the fonts are slightly different and the form may differ slightly on Windows. Lets begin the installation. Wine is a free and open source software application that aims to allow applications designed for Microsoft Windows to run on Unix-like operating systems. Wine is a compatibility layer. It duplicates functions of Windows by providing alternative implementations of the DLLs that Windows programs call, and a process to substitute for the Windows NT kernel. This method of duplication differs from other methods that might also be considered emulation, where Windows programs run in a virtual machine. The name Wine initially was an acronym for WINdows Emulator. Its meaning later shifted to the recursive "backronym", Wine Is Not an Emulator in order to differentiate the software from other emulators. While the name sometimes appears in the forms WINE and wine, the project developers have agreed to standardize on the form Wine. Once you have that installed you will need to open the Configure Wine application and navigate to the Libraries tab. It will be empty but we'll be adding additional libraries to make it look like this one. Click in the New override for library type in the name of the library and then click the Add button. Then do it again for the next library in the list. To get your forms to open properly you'll have to install two viewers. Let's install the first one. It is Lotus Viewer v8. You can get it at http://www.nrc.gov and the second one is Lotus Forms Viewer 4.0.0 Fixpack 2 and you can get that one at http://www.e-publishing.af.mil/. When you install this second one you will get a bunch of errors that pop up. Just ignore them for the time being and don't touch any of the windows until the installation finishes. 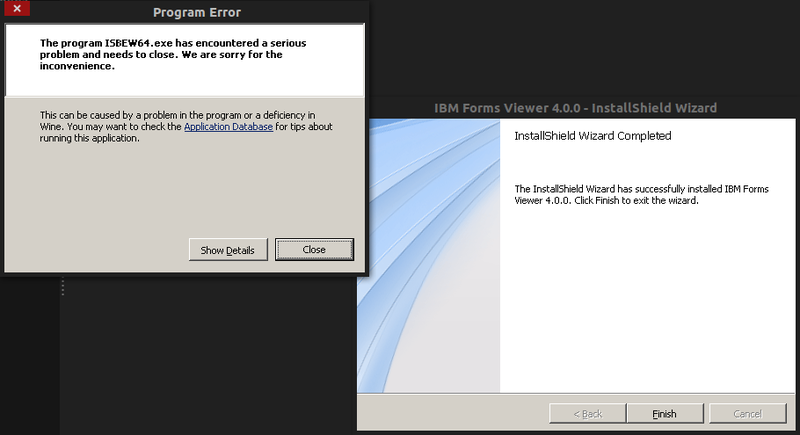 If you look at the install window you will notice that even with the errors it continues to install. Once the installation window shows that it is complete you can click the Finish button and then you can close the Program Error windows. Now that both viewers are installed you can actually open a form. However, only one of the viewers works while the other just provides libraries to the other. So yes, both are required but only one will work. 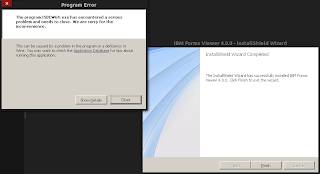 They almost look identical but Lotus Forms Viewer 4.0.0 Fixpack 2 will close/crash when you try to open a form. Lotus Viewer 8.0 will allow you to open forms. 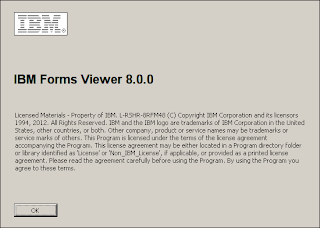 To find out which one you are using you will have to open a viewer and click Help menu and then click About IBM Forms Viewer within the menu. You should see this pop-up. Now you can use the menus at the top to open a form. Lotus Viewer on Linux for DoD Forms by Randy Rowland is licensed under a Creative Commons Attribution-NonCommercial-ShareAlike 4.0 International License. Based on a work at https://gregoryhussey.wordpress.com/2013/07/26/lotus-forms-viewer-on-ubuntu-i-think-so/. The Department of Defense (DoD) issues Common Access Cards (CACs) which are smart cards set up in a particular way. You can use these cards for Public Key Infrastructure (PKI) authentication and email. Overwhelmingly, the first thing most users need is PKI authentication. We are going to set this up using FireFox on Ubuntu. A few things you are going to need to be able to do this is a newer CAC reader and a current Common Access Card. Most CACs will look like the one to the right. This is where your PKI authentication is stored. As we said earlier you need a newer CAC reader. If you have an older square one, those are no longer supported by DoD websites. The newer one is semi-round and looks like the one to the left. Here in a moment we will use some commands to make sure you have a supported reader. 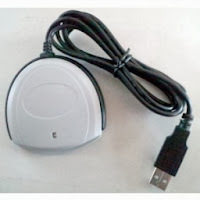 You need middleware to access a smart card using the SCard API (PC/SC), and a PKCS#11 standard interface for smartcards connected to a PC/SC compliant reader. US government smartcards may also need support for the Government Smartcard Interoperability Specification (GSC-IS) v2.1 or newer. The pcsclite project provides the middleware layer. Ubuntu splits pcsclite into a few packages. So let's begin our installation. You either don't have a compatible CAC reader or it is unable to locate your CAC reader. You can try unplugging and plugging your reader back in. If that doesn't work you'll probably need a new reader. Once this is complete you can now install CACKEY. If that installs successfully you are now ready to configure FireFox. 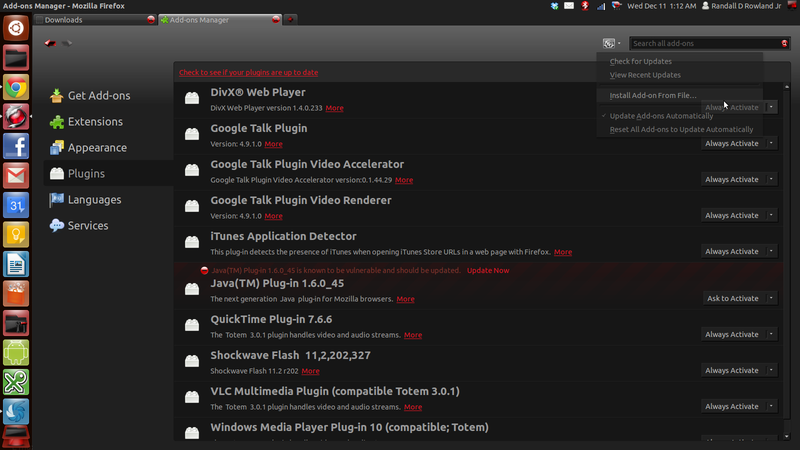 Open FireFox and go to the Tools menu. Click on Add-ons. Now up on the right next to the search bar that says Search all add-ons should be a drop down menu similar to the one pictured. through them and restart your browser. If you get an error that says it can't install because the add-on cannot be verified, you'll have to type, about:config into another tab. Search for xpinstall.signatures.required to false. You should now be good to go to use your CAC and CAC reader to access DoD websites. There is a possibility that you might have to install the DoD Class 3 PKI Root Certificate Authorities. If you get an error you can go to Download Root CA Certificate. When they install you'll also get a lot of errors. Just click OK through them and then restart your browser again. Using Ubuntu to access CAC-enabled DoD websites by Randy Rowland is licensed under a Creative Commons Attribution-NonCommercial-ShareAlike 4.0 International License. Based on a work at https://militarycac.com/linux.htm. First this assumes you already have Ubuntu or another version of Linux installed. Preferably a server edition that will not be used for normal desktop use. Ensure you have the most current updates. Now you're ready to install ownCloud. During installation you'll get a pop that will have you set the root user password for your SQL server. Don't forget this password! That's it! Now that it's installed you just need to point your web browser to the installation for setup. You the computer name or ipaddress or if you have a domain name setup for it followed by owncloud. Once you're on the webpage you should see something similar to below. Here is where you're going to setup your user account that will administor ownCloud. Type in your username and password. Don't worry about changing the data folder it should already be set for you. You can change it if you know you will be saving data somewhere else. Now is where you're going to use that root user from the SQL server and that password you were suppose to remember. For the database name type in owncloud and click Finish setup. Everything else should be pretty self explanatory. Next thing you'll probably want to do is head over to the desktop client website and pick out the specific client you'll need for your desktop. Next time we'll be connecting our ownCloud to our FreeNAS box over samba to enable even more storage. Installing ownCloud on Ubuntu by Randy Rowland is licensed under a Creative Commons Attribution-NonCommercial-ShareAlike 4.0 International License.